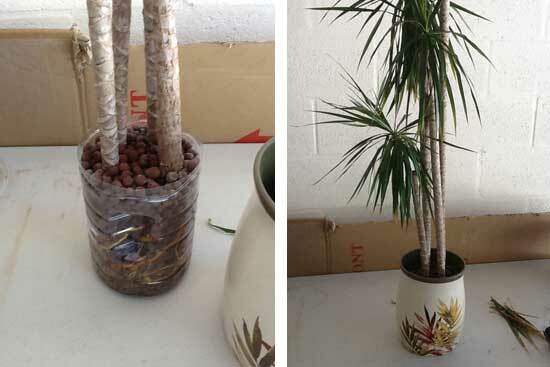 Yesterday, I shared with you SIP’s – Sub-Irrigation Planters – along with how to make them. Today, I want to tell you why I like SIP’s. 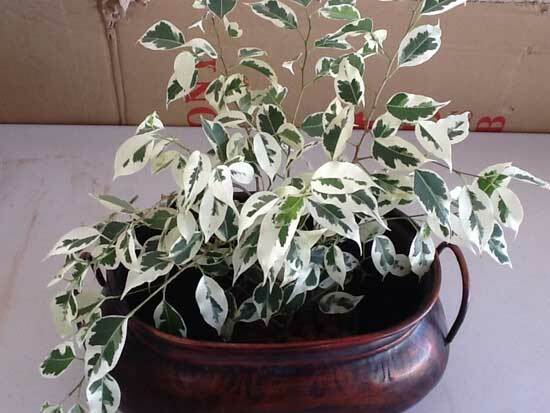 Not only do they eliminate over watering houseplants, SIP’s take the guess work out of watering, the plant uses water as it needs or requires it. 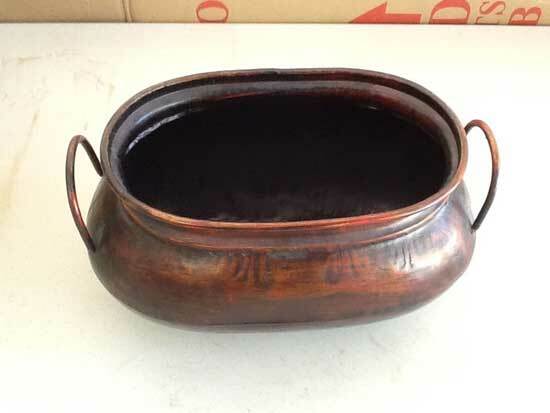 This idea is not new, it has been around for decades, going by many names – self watering planters, self-watering pots, sub-irrigation and hydroponics among others. Why the American public, nursery industry or the trade does not use or promote SIP’s more is beyond me. I guess I do know and it comes down to money and education. Production cost on the growing end and education for the grower and the consumer. With SIP’s the only watering job I have… is to make sure the “reservoir” gets refilled. 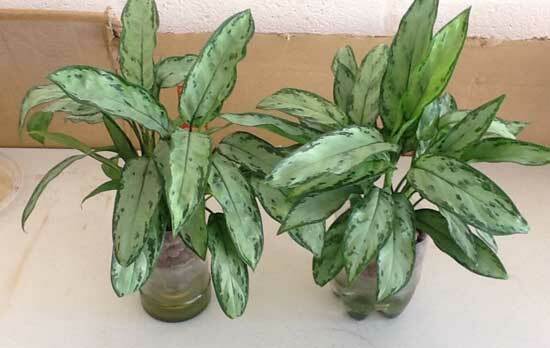 Most of the plants I have indoors can go 2-3 weeks and maybe more between “reservoir” refills. Plus, you can visually see the water level and if water needs to be added – no guessing. 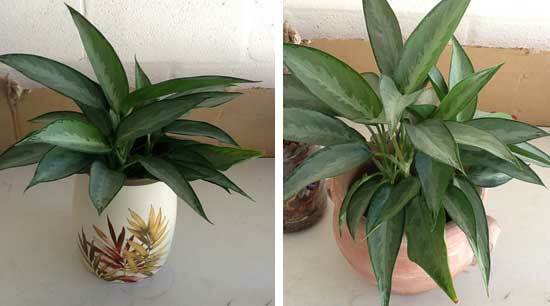 Aglaonema “Silverado” in SIP placed inside Starbucks coffee cup – makes carrying easy! 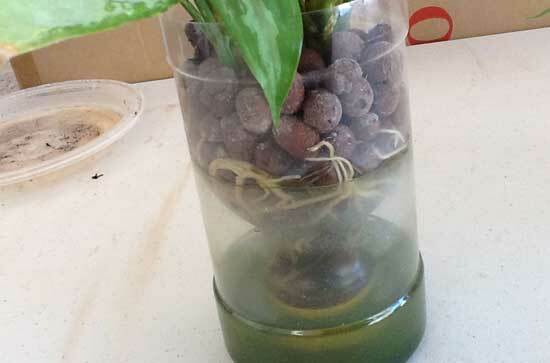 Could probably grow in the currect container for a year easily. Instead of the roots sitting in a soggy puddle and rotting, the roots “seek” the moisture, as the water is “drained away” from the soil. 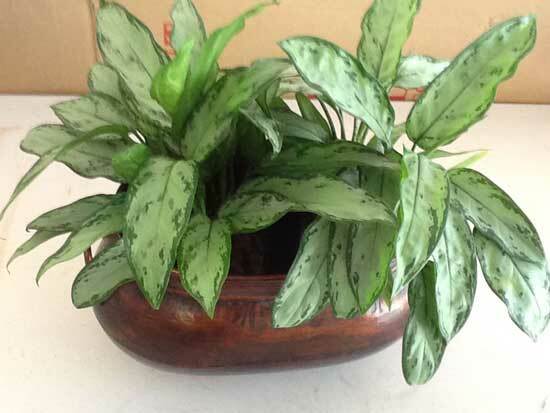 The second reason I like SIP’s with indoor plants, is the versatility they provide in decorating. You can use “decorative containers” previously unavailable. No need to worry if the “container” is water tight or will leak. Plants can be changed out easily. 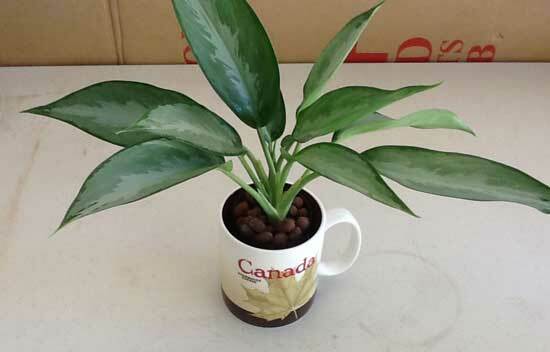 Plus, a larger plant can be produced in a smaller pot. The images below make NO home decorating statement. They are simply to show how easily it is the change things up. By expanding the possible container choices available to “cover” your growing container, the decorating palette is expanded. Now you can be on the look out for “containers” to dress things up. 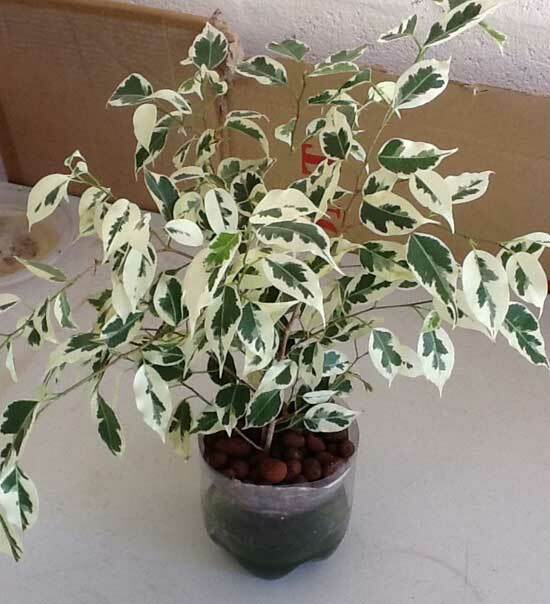 I’ve been growing my test houseplants in different places (15 or so in my office, more on a covered patio, a few under an Aerogarden), then I’ll move them around to create different looks when people come to visit. The best results so far is my wife puts up with it. Hopefully you’ll get some ideas to try out and also make some SIP’s for yourself. I know you’ll like them.